Yesterday, we saw how selecting a Datasource Location helps the Business User. Today, lets take it a little further, lets see if we can do something so that the Business User is not confused between selecting the type of Datasource Item for a component, if there are a number of components available at the specified Datasource Location. 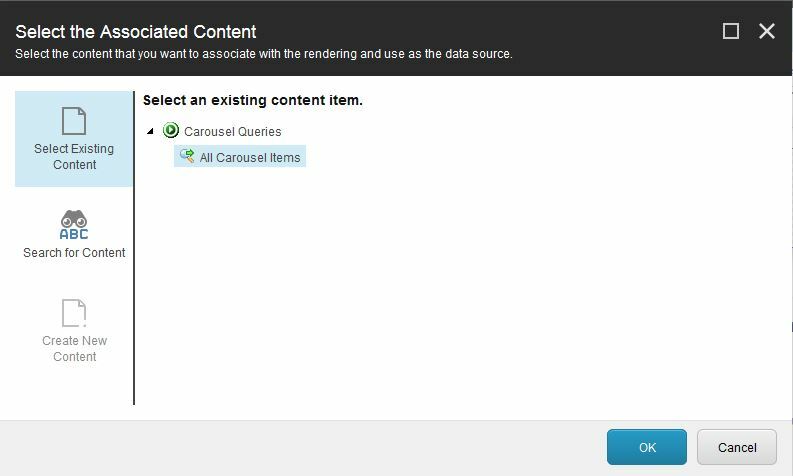 Can we make the Business User journey easier while working with Sitecore by specifying the Type of Item that is expected as a Datasource Item by the Presentation Component? Again, the answer is Yes! Thank you Sitecore! Oh, you want to know how can this be done? Well, lets check that out. We will make use of this field, to specify the Type of Datasource expected by the component. By default, for any Presentation Component, this field is empty. So, whenever the Business User tries to set the Datasource from Page Editor, this is what he/she will see. See that, the Business User can select any item as a Datasource. Now, lets check what happens when we set the Datasource Template, for the Rendering. And now checking the Select Associated Content dialog from Page Editor. So this is what happens. 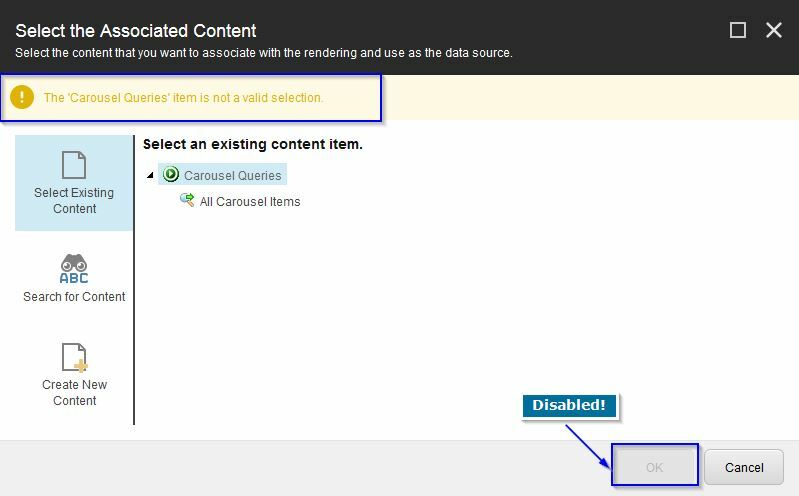 Sitecore Validates the item that is selected as a Datasource and if the Datasource Item is not of the Template specified above, it cannot be added as a Datasource. At the same time, Sitecore gives us a nice validation message for the understanding purpose.